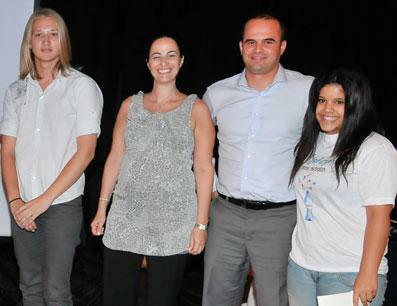 Helping Israeli teen dropouts build a successful future through business training. JDC's Turning Point program works with troubled teenagers who come from difficult backgrounds – some are from struggling immigrant families, some come from broken families and some have dropped out of school. In order to get these teenagers back on the right track and motivate them to complete high school studies, the program aims to give these teenagers an empowering vision of themselves and their futures. The program provides year-long Business Courses that offer participants the practical skills, knowledge and self-confidence needed to launch their own businesses. Through the program, the teenagers also gain important life skills necessary for success in the job market – including inter-personal communication, responsibility and teamwork. 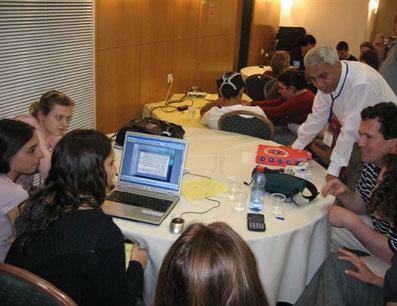 During the course, the participants prepare business plans and present them at local and national competitions. Wherever there is a Jew in need, JDC is there. With decades of experience, JDC works to provide the world's poorest Jews with access to medical care, food, and shelter and helps Jews reconnect to their heritage and to strengthen Jewish communities around the globe. JDC runs hundreds of programs in Israel that give hope and opportunity especially to the weakest citizens, like youth at risk. Turning Point recognizes that troubled teenagers who are not helped are at risk of living as adults on the margins of society. The program's innovative approach uses the business world to attract dropouts and underachieving students and give them the skills they need to become productive and successful members of society. Working since 1914 and today in over 70 countries, JDC has developed a wealth of experience and effective partnerships around the globe. JDC is the recipient of the Charity Navigator's highest 4-star rating and is among the Non Profit Times' Top 100 nonprofits. More specifically, Turning Point uses a new approach – the business world - to engage and excite disengaged teens. Through the program, Michael developed a business concept, researched the market, and drafted a business plan. He also honed in on his public-speaking skills and took part in school, regional, and national business plan competitions. Michael’s electronic device won first prize in his school competition, passed two regional competitions, and made it to the program's National Business Plan Competition, where he earned third place. “This project made me develop my personal and inter-personal skills, like convincing people and presenting to an audience,” says Michael. “I had to work on my business and creative thinking skills. I discovered hidden abilities that I never knew I had.” Michael also surprised his teachers. Thanks to the course, they saw a disinterested student who rarely spoke up in class evolve into a motivated young man with a newfound sense of confidence that amazed—and delighted—them. 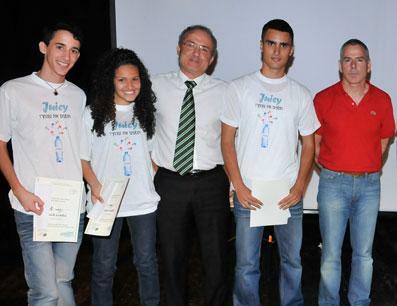 Last year’s business plan competition winner invented flavored bottle caps that can screw onto bottles of water and flavor the water while drinking, and named their business idea "Twist the Taste."